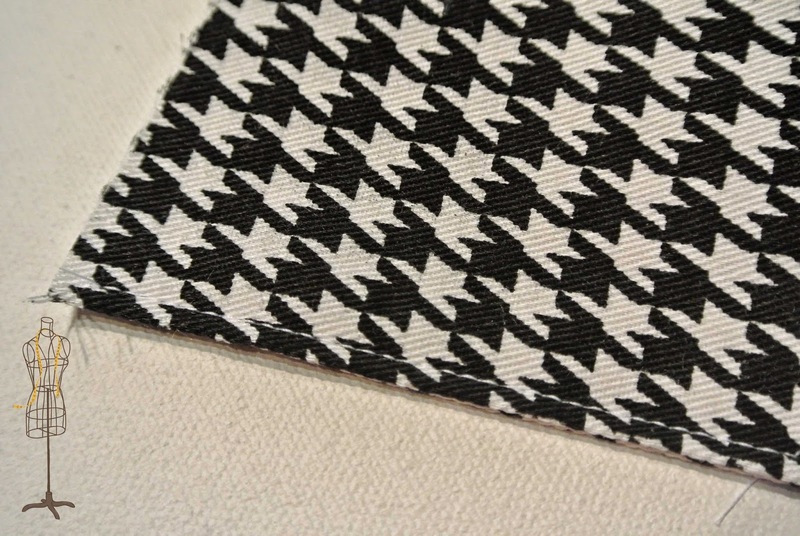 This is the topstitching on my Herringbone Jacket. 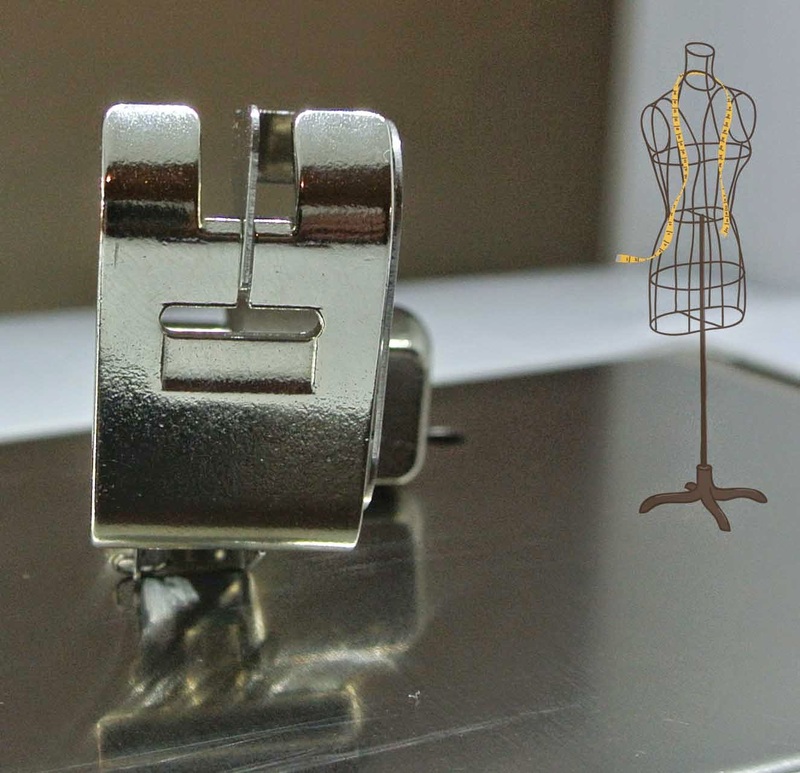 I want to share with you all, how to achieve a perfect topstitch without purchasing special thread. 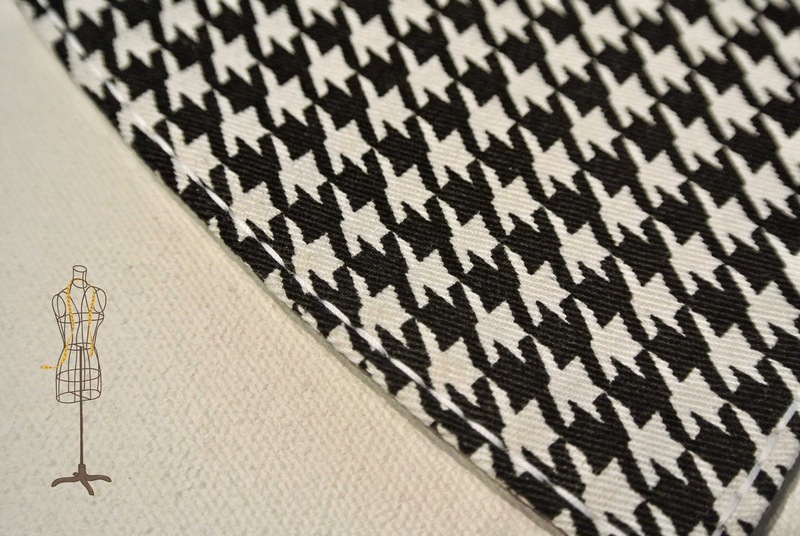 The triple straight stitch is used for reinforced seams, and it is also perfect for topstitching. 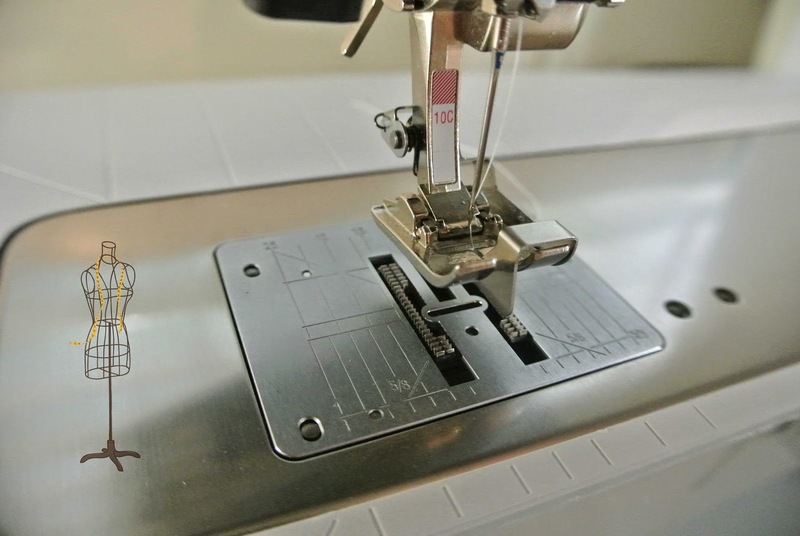 Ordinarily topstitching is accomplished by using a straight stitch and a heavy weight topstitch thread. 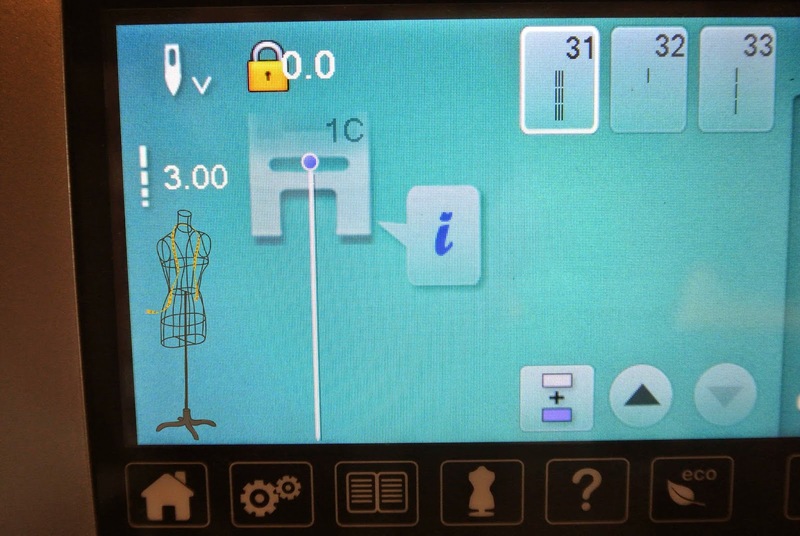 which is standard on many of today’s sewing machines. and again one stitch forward over the previous two stitches. Three stitches in all, but the end result is one straight stitch. Thus the name – triple straight stitch. 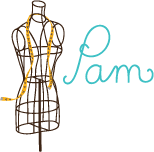 but topstitched with a regular straight stitch. I use my number 10C presser foot when I topstitch. It is called an edgestitch foot. it has a metal guide running through the middle of the foot. set the needle either to the left or the right of the guide, and stitch. The result is a perfectly placed, even line of stitching. The next time you want to add topstitching to your project, give the triple straight stitch a try. Use your regular presser foot if you don't happen to have the edgestitch foot. 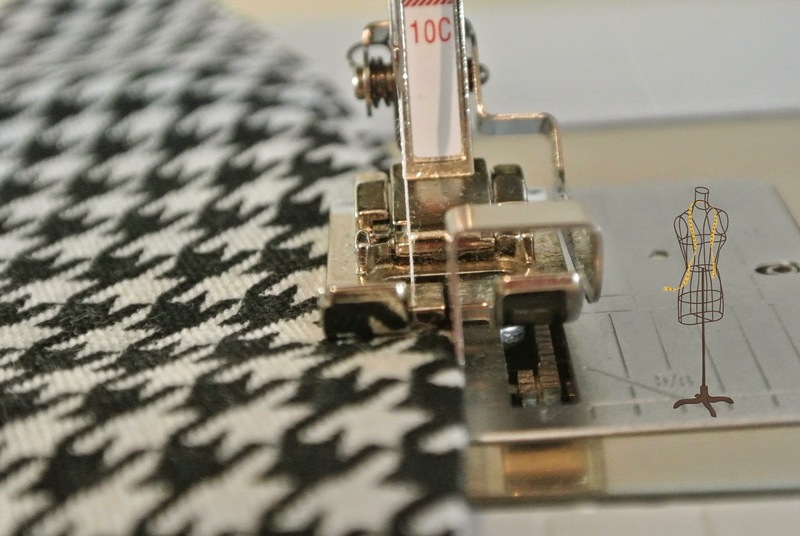 an exact distance from the edge of your fabric throughout the length of topstitching.